Bielschowsky Stain | Polysciences, Inc. 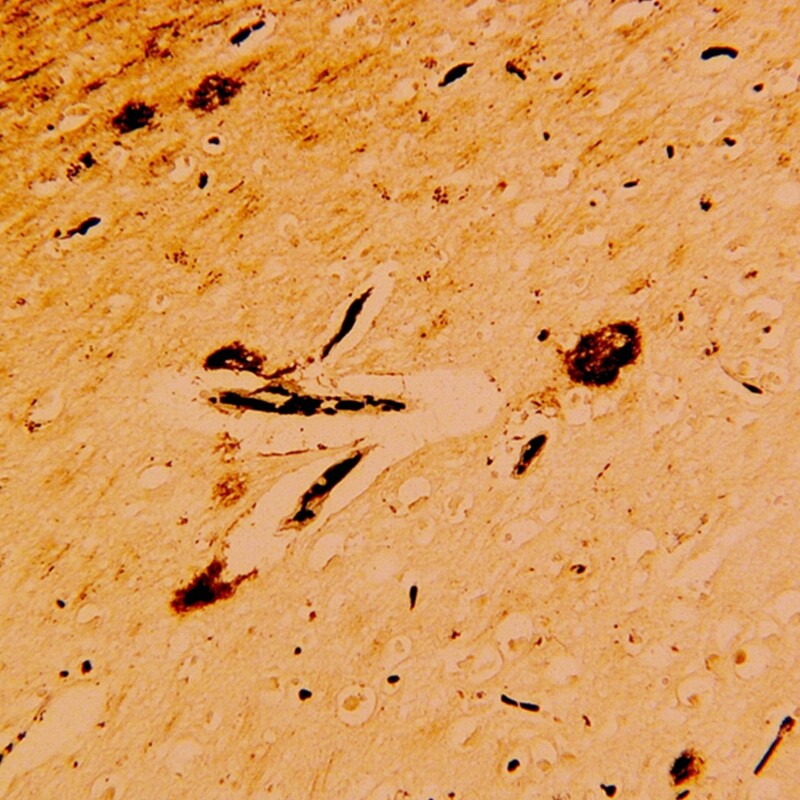 The Bielschowsky Stain is a very useful method in detecting the twist and clumping of neurons in the brain, otherwise known as, neurofibrillary tangles and senile plaques, which are signs of the Alzheimer’s disease. The Bielschowsky stain, along with other diagnostic test, can assist scientist and researchers in the mission for finding a cure for this disease of memory loss. We recommend kit is used on formalin fixed paraffin embedded tissue sections of 8-10 microns. Bancroft, J. D. & Gamble, M. Theory and practice of histological techniques. (Churchill Livingstone/Elsevier, 2008).